MIKROTIME are most happy to support our customers in all ways that help them achieve the best from our systems. 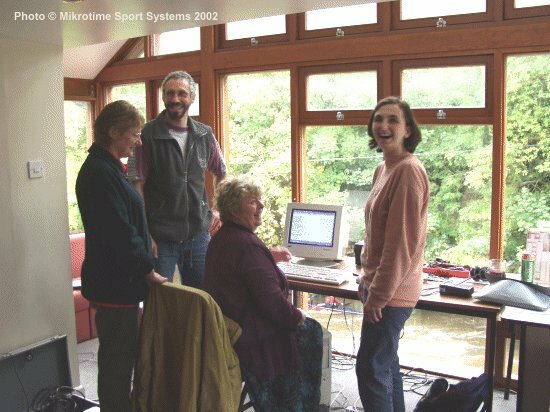 Mikrotime run Education and Training Courses in all aspects of Sports Event Timing from simple introductions to computer systems through to advanced use of the Hardware and Software enabling efficient provision of a Timing and Results service. Those Officials and Club volunteers who require training, can learn the capabilities of timing units, infra red light beams, and how to run the system, update the competitor database and time events. Training courses are valuable until the necessary expertise has been built up within the organisation, when self-help becomes more than adequate. Detailed manuals are also provided with Mikrotime Systems, but organisers may still welcome the value of a tailored training course for their Officials and volunteers.